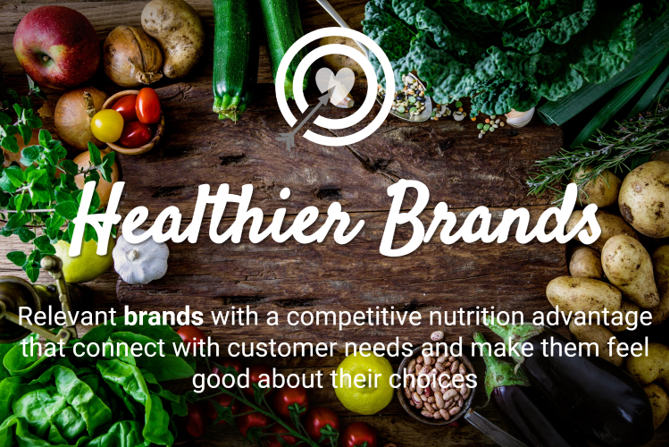 At The Nutrition Providers we provide nutrition expertise, tailored to the needs of all organisations, that support the success and sustainability of businesses and enrich the lives of their customers. We believe nutrition is a fundamental consideration for any business that produces, markets, promotes or sells food. This belief drives our mission to deliver nutrition expertise, tailored to meet the needs of all businesses. It’s not about all businesses selling "health food". It's about an inclusive approach that recognizes the enjoyment that food brings to our lives and the different meanings and functions it has. Acknowledging nutrition as a business fundamental and understanding what that means for your business will enrich not only the lives of your customers but the success and sustainability of your business. We have a genuine passion for discovering what nutrition means to your business and making it work for you. From the dawn of time nutrition has been about food. Our ancestors ate food for nutrition and ultimately survival. As we’ve evolved so has our food system and nutrition science. This evolution has seen food and nutrition separated as concepts. Food is about what we eat. While nutrition science has focused on nutrients and their physiology in our bodies. We’ve seen the rise of nutritionism and the demonization of numerous nutrients and the foods that contain them. Sarah loves food. Making it, talking about it, thinking about it, looking at it and of course eating it! Loving all foods makes it hard to have just one favourite so she says its a four-way tie between pizza, veggie nachos, chocolate and tea. When she's not daydreaming about food you'll find her chilling out in a yoga pose or relaxing with her dogs. Sarah has been working as a dietitian with food companies for 10 years and like they say, if you love you're job you'll never work a day in your life. What drives this passion is her love for food, science and problem solving. What keeps it interesting is the evolving science, changing consumer needs and the need for creative solutions. What Sarah says creates success in nutrition; evidence-based passion! Spending most of his time wrangling between an 8 year old son and his two Chihuahuas Poppy and Daisy, generally you will find Josh eating, and maybe even revamping traditional Italian recipes passed down from his Mother. A self-proclaimed Gym Junky of over 20 years Josh takes his physical well-being serious. 'JC', as he is affectionately known, has owned and operated large retail businesses for over 15 years, an expert in Business Development, he also has this uncanny knack of picking the 'winning' horse. A stickler for good personal hygiene, nice smells and expensive shoes. What JC says constitutes a good relationship; 'partner with your clients, share each others struggles, resources and best practices, and wish success for all parties involved'.